in “exceptional circumstances”, if there has been a “grave and manifest miscarriage of justice”. The text of article 85(3) makes it clear that awarding compensation in this instance is a discretionary decision. In a decision dated 8 June 2012 in the Zigiranyirazo case, an ICTR Trial Chamber interpreted article 85 as reflecting the state of customary law with respect to compensation for acquitted persons, although it emphasized that this principle was merely permissive rather than compulsory. Zigiranyirazo was detained for over 8 years prior to his acquittal on appeal on 16 November 2009. The Trial Chamber’s decision on compensation (Judge Park dissenting) demonstrates how difficult it is for an acquitted person to meet the “grave and manifest miscarriage of justice” standard. The Majority refused to exercise its discretion to grant Zigiranyirazo’s compensation claim despite the fact that the Appeals Chamber had found the trial judgment to contain ‘grave errors of fact and law’ constituting a miscarriage of justice and that Zigiranyirazo’s conviction ‘violated the most basic and fundamental principles of justice’. This violation stemmed from the Chamber’s reversal of the burden of proof at trial. The Majority further stated that “to award compensation in the circumstances of this case might open the floodgates to an unmanageable host of compensation claims”. The fact that Zigiranyirazo filed his motion for compensation more than two years after his acquittal was also a contributing factor for the Majority’s decision. Judge Park dismissed this fact and would have awarded compensation for the period following his conviction at trial since the reversal of the burden of proof at trial was “entirely unjustified” and “violated his most basic and fundamental rights”. There is also appellate jurisprudence at the ICTR upholding the right to compensation under international law, as reflected in Article 2(3)(a) of the International Covenant on Civil and Political Rights, if an accused’s fundamental rights have been violated. On 13 September 2007, the ICTR Appeals Chamber upheld the paltry compensation award of 2000 euros in the Rwamakuba case since the accused’s fundamental right to legal assistance and an initial appearance without delay had been violated. Rwamakuba had been detained for 167 days prior to his initial appearance, of which 125 days had passed without assigned counsel. However, the Appeals Chamber agreed with the Trial Chamber that the ICTR legal texts do not confer the authority to award compensation to Rwamakuba simply for having been prosecuted and acquitted at trial, despite the fact that he had been detained for nearly 8 years prior to his acquittal. Therefore, a lengthy period of detention prior to acquittal does not per se warrant compensation since, unlike wrongful conviction cases, it may not be considered to be a violation of an accused’s fundamental rights. 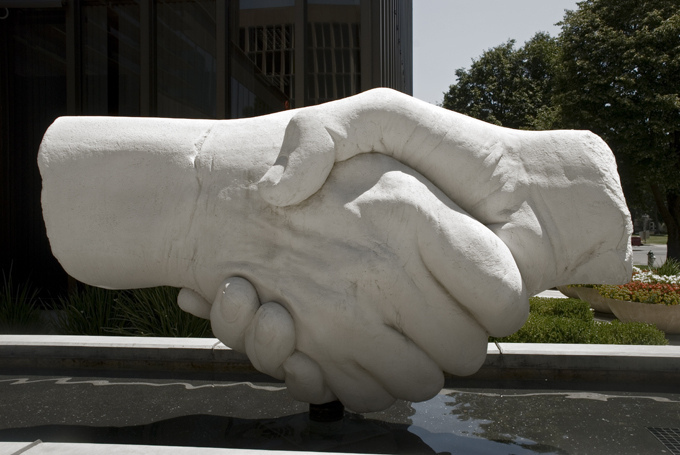 Looking to national criminal law systems, compensation for acquitted persons is available in a number of countries such as Norway, Sweden, Denmark, Austria, Germany, the Netherlands, Iceland, Italy, and Latvia, among others. In these countries, the compensation is simply awarded for the deprivation of liberty and economic loss suffered as a direct result of the proceedings against the accused, not necessarily as a result of violations of their fundamental rights. Another serious post-acquittal problem at the ICTR that is not the subject of this post but could give rise to compensation claims is the fact that many of the accused who were acquitted by the ICTR remain in UN-funded safe houses in Arusha. The reason being that that returning to Rwanda a) poses a personal danger (since they have tainted by the allegations of genocide and crimes against humanity), and b) risks another trial that would likely not meet international fair trial standards. And since no other country has agreed to accept them, they are stuck in Arusha. Kevin Heller has explained why this travesty occurs, and what the international community should do about it in his 2008 article in the Leiden Journal of International Law. This problem is not limited to the ICTR either. Mathieu Ngudjolo Chui, who was acquitted by an ICC Trial Chamber nearly a year ago on 18 December 2012, remains in legal limbo in the Netherlands since no state has agreed to accept him to date. Most observers won’t lose much sleep over the years that Perisic, Gotovina and Markac and others have spent in detention. And the legal case for compensation based on a “grave and manifest miscarriage of justice” will admittedly be difficult to establish solely on the basis of their lengthy period of detention. Stanisic, Simatovic, and, depending on the content of his upcoming trial judgment, Seselj, may all have a stronger case on the basis of the ‘newly discovered fact’ of Judge Harhoff’s bias following trial proceedings, which could arguably constitute a miscarriage of justice. 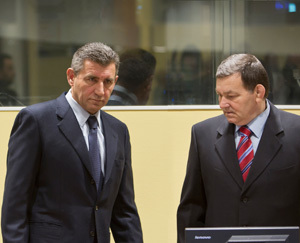 However, if Perisic, Gotovina and Markac were to jointly file a motion requesting compensation in the form of monetary contribution to specified organizations working towards reconciliation in the Balkans (with a letter of support from those organizations) the Chamber may be more willing to exercise its discretion in their favour. There are many organizations doing excellent work and this relatively small amount of money would be a small but symbolic step towards addressing one of the major critiques of the ICTY to date, namely, the hundreds of millions of dollars spent on trials in The Hague without a meaningful role and impact in reconciling communities of victims across the Balkans. Such an award would have the dual benefit of acknowledging the lengthy deprivation of liberty suffered by the accused prior to their acquittal and contributing towards reconciliation in the region. It would also allow these acquitted persons to show genuine concern for the victims of the Yugoslav conflict and a desire to build a more peaceful future. 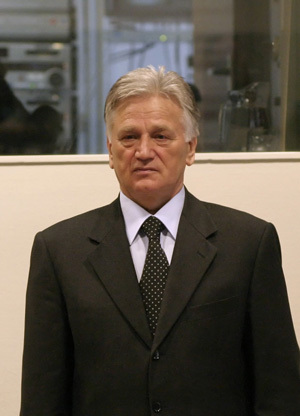 The former President of the ICTY, Patrick Robinson, had made persistent calls to the UN Security Council for a Trust Fund for the victims of the conflict in the former Yugoslavia, stating that “The Tribunal cannot, through the rendering of its Judgements alone, bring peace and reconciliation to the region. Other remedies must complement the criminal trials if lasting peace is to be achieved, and one such remedy should be adequate assistance to the victims for their suffering.” It is clear that in the final stages of the ICTY/ICTR’s existence, a trust fund for victims is not going to be bankrolled by the UN Security Council. However, this symbolic and creative award of compensation could help achieve similar goals, albeit on a limited scale. Perhaps the likes of Gotovina, Markac and Perisic want nothing more to do with the ICTY following their many years of detention in The Hague. Perhaps the wounds of the conflict are too fresh for victims and organizations working on reconciliation to accept money from those they still see as having contributed to these crimes. Perhaps it is naïve to think that these erstwhile enemies would join together and take such a risk bearing in mind the political ramifications in the region. But should the acquitted persons and victims organizations be willing to bravely step forward and take this step towards reconciliation, the ICTY judges would at least have to confront head on the issue of the unduly long periods of detention and the ICTY’s lack of reconciliation efforts in the region. Without a system to compensate acquitted persons for unreasonably long periods of pre-trial and trial detention, there is no incentive for the parties and judges in particular to ensure that trials are completed within a reasonable time and, in a related point, that the evidence that is admitted to the trial record is limited by more consistent admissibility criteria. Acknowledging the complex nature of these cases with indictments covering many years and events, I still find it hard to believe that the Perisic Trial Chamber needed 2945 Prosecution exhibits (with an additional 849 from the Defence and 3 from the Chamber) to ascertain his guilt, the Gotovina, Markac and Cermak Trial Chamber needed 2687 Prosecution exhibits, 2132 Defence exhibits and 5 Chamber exhibits, and the Stanisic and Simatovic Trial Chamber needed 3226 Prosecution exhibits and 1617 Defence exhibits. But the ongoing problems with the admissibility of evidence, in which the trial chambers frequently and yet inconsistently allow the parties, and the Prosecution in particular, to flood the record with exhibits of questionable relevance and probative value, is for another day and another post! This entry was posted in Compensation, Detention, Gotovina, International Criminal Tribunal for Rwanda/ICTR, International Criminal Tribunal for the Former Yugoslavia/ICTY, Judge Harhoff, Perisic, Reconciliation, Rights of the Accused, Seselj, Transitional Justice by Alex Fielding. Bookmark the permalink.